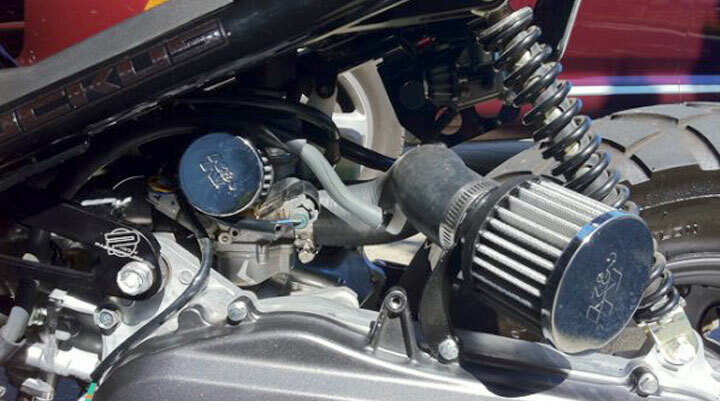 Modifying The Intake is one of those modifications that need to be done after some thought. 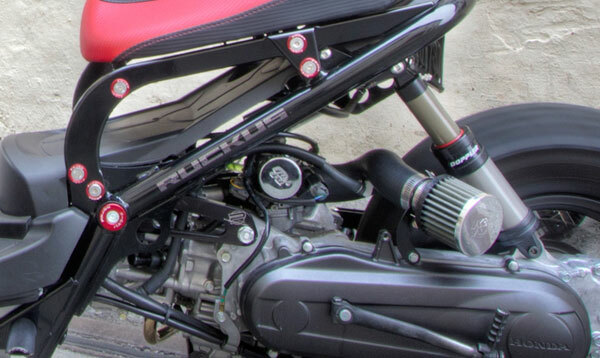 There are a few things to think about if you debating whether or not to ditch the stock air-box. First and foremost, do you know how to re-jet a carburetor? Most of us do not, re-jetting is entirely necessary as the amount of air coming into the motor will be substantially more. Second, do you have all the necessary air filters to replace all the open ends that will occur after you remove the air-box. By open end I mean this: there are a lot of hoses coming from the crank case, pvc valve, solenoid, etc… that all run to the air-box. All these need to have filters on them. This mod requires more than one air filter, it actually requires three, sometimes four depending on how you go about it. going full throttle from idle will bog. After all that I decided I wanted to go the route of the Intake mod. I’m a fan of keeping the reliability of my Ruck, because its my daily driver, I might not get as much power as using a carb kit, but I’m ok with that. Also I am having my motor mechanic do the work. Jetting can be a huge pain in the you know what. I don’t have the time or the patients. What would take me 4 days, will take my mechanic an afternoon. Back to all those wires coming out of the airbox, There is a an outstanding diagram that was done by sanjuro62, that will clear up all the issues around the air-box I highly recommend looking at it. You get all the right equipment, get it jetted right, you should see at least 1-2 more MPH in your ruck. 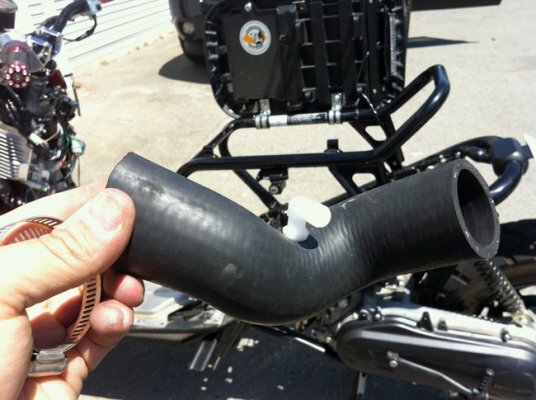 The one thing you will deffinately need is a intake mount when you remove the airbox there is nothing to hold the main intake. Thanks to the guys at MNNTHBX they got cha covered.